Large megalithic stone structures were created by man from Neolithic times for sepulchral as well as non-sepulchral purposes, including astronomy. One of the most spectacular and well known of these is Stonehenge in England, which has definite astronomical associations. Not many though, might be aware that India has its own version of Stonehenge. Located in Byse village in Karnataka these Megaliths structures dates back to 1000 BC and have been found to be aligned with certain Solar and Stellar movements including solstices and equinoxes. 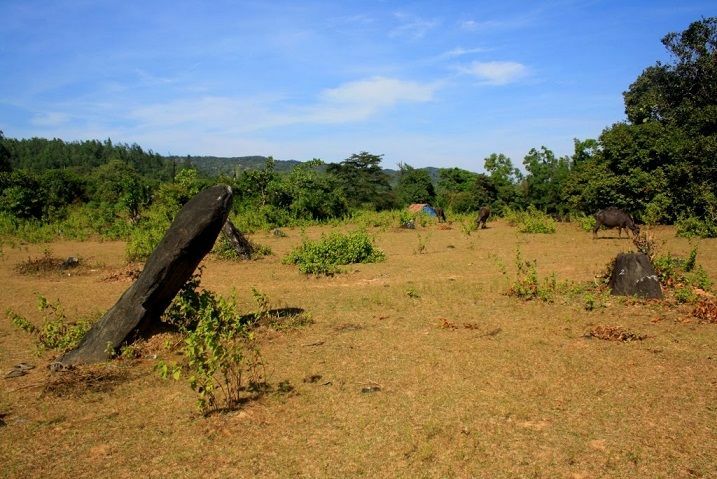 Megalithic structures have been found at a site called Nilaskal Byana which mean “the field with the standing stones”. In 1975, the site was reported as containing several menhirs (single standing stones) arranged in no particular pattern. 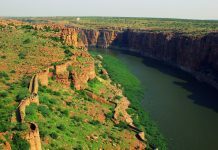 In 2007, the researchers from the Tata Institute of Fundamental Research (TIFR) and Manipal University surveyed the site and discovered 26 megalithic constructions. According to researcher, this megalithic construction were most probably used for astronomical observations at a site in South India. Using computer simulation, the researchers concluded that at least one of the stone alignments at Byse has “strong astronomical associations”. The standing stones are aligned to the north, east, south and west directions and also match the two solstices and equinoxes. While the two solstices mark the longest and shortest days of the year, an equinox occurs when the sun is in the same plane as the earth’s equator. The solstices, together with the equinoxes, are connected with the seasons. A unique feature of this observatory compared to those in Europe is that it does not have a central location from which observations can be made, but involves multiple sightlines with shadows of several stones falling on other marking stones during days of astronomical importance. The three-member team has claimed that the stones are the first strong evidence of a monument with intentional solar and possible stellar alignments among Indian megaliths. Megaliths in southern India are believed to have been erected during the Iron Age (1200–500 BC), though the practice may have originated in the Neolithic period (3000–1200 BC) and continued into the Early Historic Period (500 BC–AD 500). The tallest menhir is 3.6 m in height, 1.6 m in width and 25 cm in thickness. Two menhirs are used by the villagers for a form of ancestor worship. There are several unexcavated mounds in the clearing south of the menhirs, which also seem to suggest a sepulchral connection. India contains a wealth of megalithic stone circles, dolmens, and dramatic monoliths. 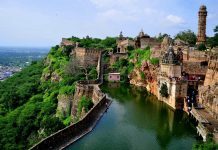 Strangely they are never promoted as heritages of India and in the process are deprived of the dignity these ancient monuments demand as true relics of our country’s prehistory. 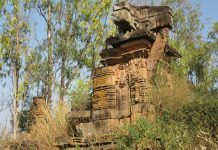 The government makes no effort to publicise these tribal monuments to the world. If megaliths of India are ever recognized as venerated heritage of the tribals, many of their civilisations under wraps till now would surface which subsequently will persuade scholars to rewrite India’s unknown prehistory.